So you’re having a baby… and you’ve been given a list of the baby supplies recommended to have before bringing the baby home. It is an overwhelming list. I know as a new parent you want to be prepared and have everything ready when you return from the hospital. As a mom myself, I have some good news for you. You can save some money by not buying everything on the newborn baby lists. Sure, there are some necessities you’ll want beforehand but many other products you might never use or you can buy months after you get to know your baby’s needs. It is hard enough to plan your finances to prepare for kids. This is my list of products that are worth spending money on. Including my specific all-time favorite baby items I wouldn’t want to live without! Another list of products I suggest not investing in before baby’s arrival. Most babies love a baby swing and will use it starting the day you bring him home. 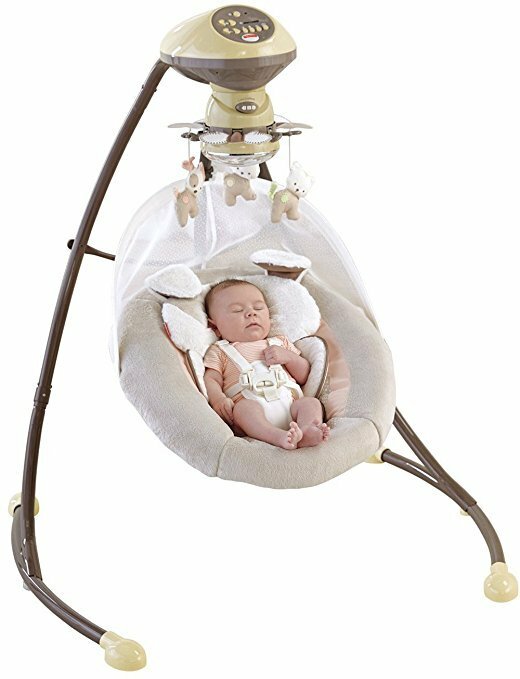 A swing offers baby entertainment, soothing, a clean/safe place to sleep and most importantly it gives your arms a chance to rest from all of that rocking. I highly recommend investing in the Fisher Price cradle and swing. It is a well-made product with two direction rocking, soothing songs and mobile. Plus, my child and friend’s children were always happy in this swing for hours on end. It’s a true lifesaver. This item may not be on every newborn list but it is a must for me, here’s why. Once you start reading newborn care books and talk to your pediatrician you’ll learn about SIDS. Sudden Infant Death Syndrome. There are many preventative measures you can take to reduce the risk of SIDS, including not using baby blankets as they might interfere with the baby’s breathing. Sleep sacks are used to keep your little one warm and swaddled but cannot accidentally cover the baby’s face. I recommend Halo brand of sleepsacks, I use them for my kids and they come in a huge range of sizes and weights. The next big ticket item I recommend investing money in… your stroller. Before having the baby you might think you’ll only use it for walking through your neighborhood. But you will use it much more than you expect. Taking walks postpartum might be your only way to exercise for years. You’ll use it going to the pediatrician, through malls, restaurants, airport, even the grocery store. This is why I recommend investing in a good quality stroller, even if pricey. 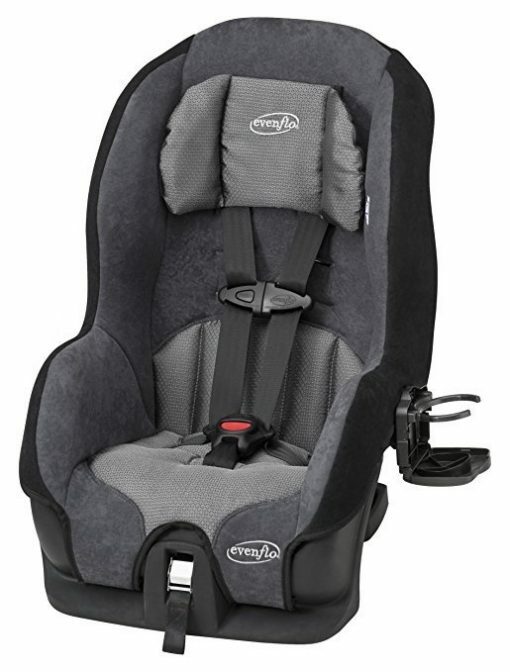 Also be sure the stroller you choose can accommodate the brand of infant car seat that you choose. The stroller I use and recommend is the Uppababy Vista. Yes, it is very expensive but SO worth it. It comes with an infant bassinet which can be attached to the stroller or even for naps inside the house or while traveling. 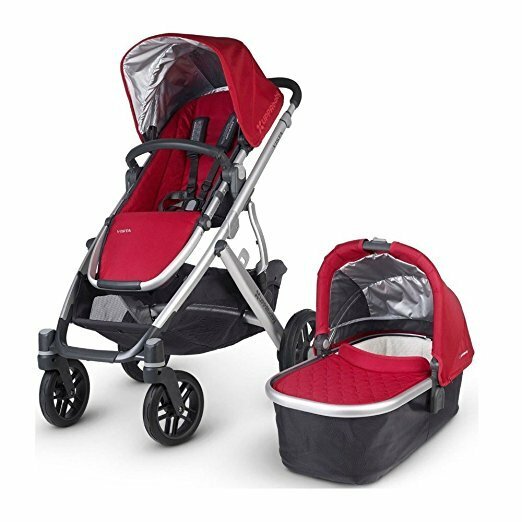 The stroller has a baby/toddler seat which can face you or the street, another great feature. The Uppababy customer service and repair service is fantastic. If you have another child down the road you can even add a second seat. This allows you to save the cost of a double stroller one day, so you might as well invest in 1 great one from the start. Invest in higher quality baby furniture. You’ll be using it more than you expect and toddlers can really be rough on furniture. It’s hard to imagine your sweet infant becoming a toddler who will bite, climb and jump off the furniture you’re buying, but he or she probably will! I especially recommend spending the money if you purchase convertible furniture that you intend to use through childhood. If you are just buying nursery furniture to be used for a year or two, you may not want to invest quite as much. You probably don’t want to hear me say not to invest in too many infant clothes because they’re SO cute. But you really will save some money by waiting until after child is born before stocking up on clothes since they do grow so fast. Nobody ever tells you that if you have a larger baby you may never even use newborn size clothes, many babies skip that size all together and can start wearing 3 month size from the beginning. Also, you will quickly prefer some baby clothes brands over others because they fit each baby’s body shape differently. After you have the baby you can see how big she is and what brands fit her best, then go shopping. Before baby is born I recommend buying 3-5 outfits in each size, you can buy more later. Plus, many parents receive baby clothes as gifts after baby is born. 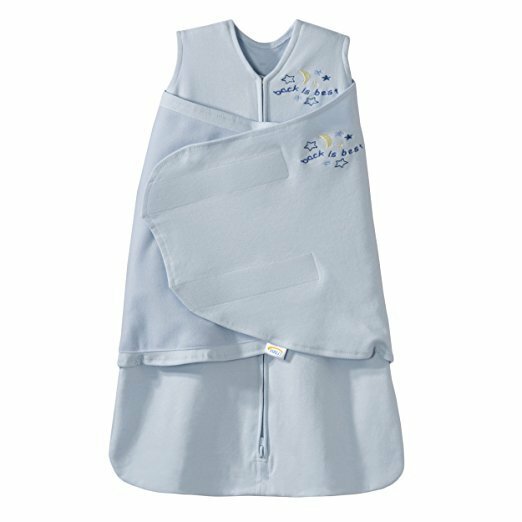 Like baby clothes, baby blankets are popular baby gifts for showers and after the baby is born, so don’t buy too many before the birth. As discusses previously, baby blankets are not recommended in cribs due to the SIDS risk. However you may want to be prepared with a couple of blankets to use while they are awake and as a clean play space. 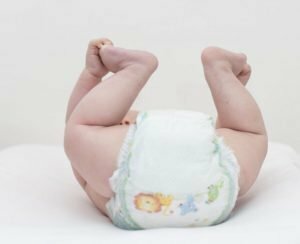 Do not buy a lot of diapers, even if they’re on sale! Just like with clothes, babies grow out of diaper sizes at their own rate and you have no idea how many diapers in each size you will end up needing. Another complicating factor is that not every diaper brand fits well for each baby. A diaper might leak regularly with one brand but not at all with a different brand. It’s based on your baby’s body shape and proportions. Also consider that it’s common for some babies to have skin sensitivity to the chemicals used in diapers. Some moms have to experiment with different brands until they find one that fits well and is comfortable for baby’s skin. You don’t want to be caught with a stash of diapers you’ll never use, and diapers do expire! So I suggest having just one large package of diapers in both newborn and size 1 ready. Every baby supply list includes a high chair. Here’s why you shouldn’t buy one before baby arrives. It isn’t even possible for baby to use one until she is 6 months and develops the ability to sit. Highchairs also take up a lot of room in storage. Many new parents buy a standard large highchair that stands on the floor and costs $80-$200. After months of use they realize how much space it takes up and then purchase a smaller seat, called a high chair booster seat that can go on top of a standard dining chair. It takes up less floor space, allows the baby/toddler to sit with the family at the table and is less expensive, about $15-$50. So my advice is to wait until your child is able to sit and begins eating solids, then purchase a more compact chair that most parents are happier with in the long-run. Summer Infant makes a nice and inexpensive booster seat. Newborn supply lists are overwhelming. Every time you step foot in a baby store the employees will hand you another list of what to buy. The good news is you don’t need to buy everything on that list, or at least do not need to have it all when you bring your baby home. This will save you hundreds of dollars. You’ll also be glad when you invest your hard earned money in the right products that make life easier with a young child. Also, check out The Best Toddler Toys to buy.